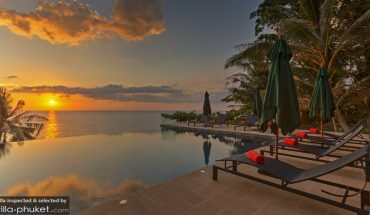 Located on Kata Noi hill, this 6 bedroom villa overlooks Kata Noi Beach and looks out to the Andaman Sea. With the amazing location and thoughtful design, guests get to enjoy cool gentle breeze and spectacular views. To further enhance the relaxing atmosphere, it provides massage sanctuary and a massage bed for the private therapies. With a 15% off promotion going on now, it is definitely a villa you will not want to miss out on. 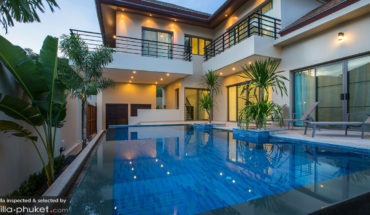 This 3 bedroom villa has the best of both worlds – it is convenient and has beautiful views. It is a walking distance from the two famous beaches of Phuket (Kata Noi and Kata Beach) and located close to commercial shops and good restaurants. Guests can abandon their worries of not knowing what to do around the area because The Signature Kata is filled with entertainment such as jacuzzi, gym and sauna. Being children friendly, The Signature Kata has a children’s pool as well which made it a perfect vacation choice for family with kids. Being excellently well-maintained and designed with a Modern Glass Theme by the owner, The Beach House is definitely one of the most modern and sleek looking villas. This 3 bedroom villa is furnished with designer Kenkoon furniture and decorated beautifully with a touch of personal style. To make your stay as comfortable as possible, the villa has many facilities such as jacuzzi, cinema with surround sound, and many more. For those who are a little more adventurous, there are several activities such as diving, jet skiing, parasailing, snorkeling, surfing and paddleboarding for you to participate in. Don’t miss out this good deal of a villa with gorgeous views near to a bustling city, with a promotion of 25% off! It is currently having a 25% off promotion for christmas and new year! Surprise your partner with this rejuvenating vacation for the coming holidays with 25% off promotion! For this Christmas/New year, a 25% off promotion is given to you to let you further enjoy your holiday retreat! A 25% off promotion is given if you book now for the Christmas and New Year period! Villa Baan Salawin is a 3 bedroom villa that has a romantic atmosphere which is perfect for a group of three couples or friends. 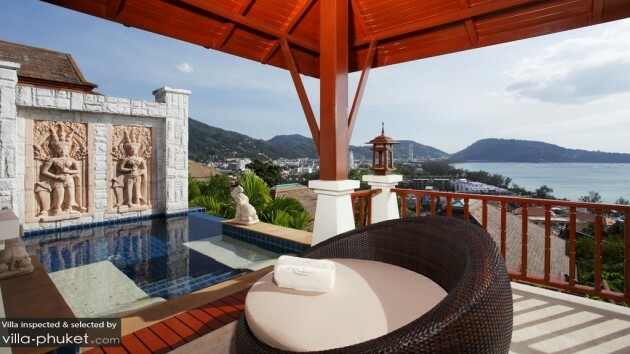 It is located on Kamala Hill which provides stunning views, especially from the infinity private pool that has 180 degree panoramic view of Kamala Bay. 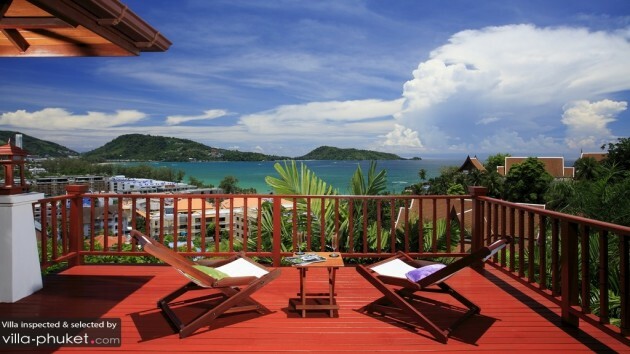 Regardless of the bedrooms or bathrooms, guests will get to enjoy the sweeping views of Andaman Sea. 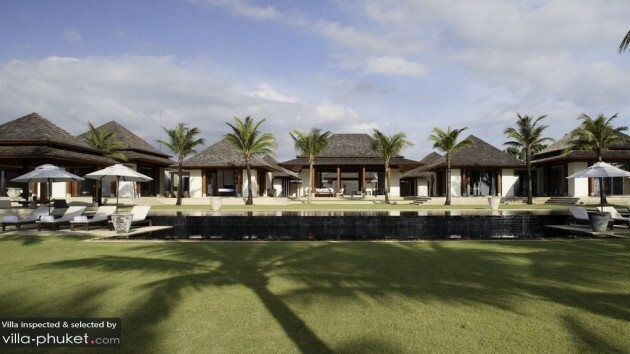 Staying in this 7 bedroom beachfront luxurious estate on Natai Beach, you will be able to enjoy the services and facilities that you would have expected in a 5 star resorts. This villa is well equipped and designed to serve you with top notch service. You will be impressed by how they paid attention to little details such as having a reverse osmosis water filtration tap installed so that guests can have clean fresh drinking water at all times. At here, you can enjoy the splendid views while fully indulging into their services. This villa is also children friendly with plenty of space for kids to play and the nanny room is beside the children’s bedroom so that she can keep an eye on them. 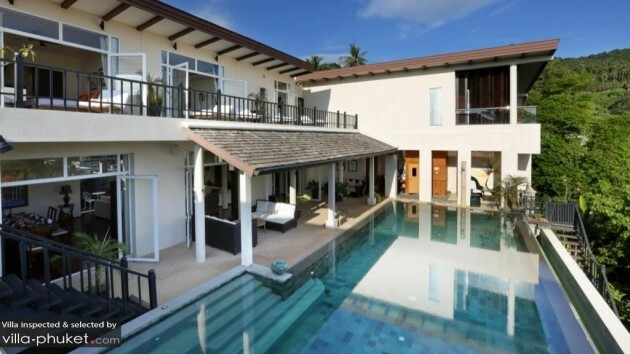 Villa Ananda is very suitable for one or even two families.